The army commander watched from the high ground his army had been defending for the entire battle. It had been a slogging match, his renowned opponent launching attack after attack. Now, the critical moment was coming. The enemy's last fresh reserve had been committed. It would be decided now. But the attack came in on a narrow front, leaving defenders to the side of the main thrust free to act. A line swung forward from the high ground, pivoting to pour flanking fire into the oncoming attack. The effect was deadly. The attack faltered, paused, then broke. The attackers broke formation, and began to return back from whence they came. Ending 1: The Duke of Wellington took off his hat, raised it high in the air, then let his arm fall forward towards the enemy. The allied forces cheered, recognizing the signal for what it was, an order for an all out attack along the entire front. The French retreat soon became a rout. The battle was over. The war was over. A decisive victory had been won. Napoleon had met his Waterloo. Ending 2: George Meade muttered under his breath, "Thank God," and retreated to consult with staff and his Corps commanders. Was a counter-attack possible? Hours later a tentative conclusion was reached. Probably not. No, I'm not going to suggest that George Meade could have won the Civil War at Gettysburg by simply waving his hat at the Confederates. Quite the contrary. While there are similarities between Waterloo and Gettysburg, there are significant differences as well. These difference are such that both Meade's and Wellington's decisions are justified. The objective is not to second guess George Meade, but to explore why decisive war-ending victories were less rare in Napoleon's time. The US Civil War ended with surrenders of armies worn down by attrition. 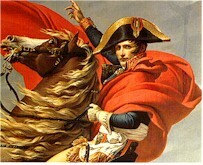 Napoleon's career ended in battle and flame. The following list of ingredients for winning a decisive victory might not be exclusive. Decisive victories were won without some of the following. Still, they are suggestive of the sort of thing might wish to do if one is trying to remove an army from a war in one fight. Also, there were not one, but three defeats at Gettysburg. On July 1, the Union I and XI Corps were driven from the field. On July 2, the Union II, III and V Corps were driven back from Sickles' Devil's Den, Wheatfield, Peach Orchard line. On July 3, Pickett's charge was turned. In all three cases, large formations were in disordered retreat. In all three cases, the armies still stood in place the following morning, battered but intact, ready to face the worst its opponent could do. How was it that the retreats at Gettysburg were only retreats, while at Waterloo the retreat became a rout? When the Duke of Wellington ordered his final charge, he had a cavalry advantage. When a French officer attempted to rally enough troops to make a stand, cavalry soon harassed him. This was a major function of cavalry, "keeping up the skeer." On July 1st, when the I and XI Corps broke, the losing side had the cavalry advantage. Buford's division was the only major cavalry force present. On July 2nd and 3rd, there was no clear cavalry advantage. The major cavalry forces were off the field, guarding both army's flanks. To a great extent, the two cavalry arms neutralized each other. When Napoleon committed his last fresh reserve, the rest of his forces were already committed and in close action. Napoleon had committed everything he had to the attack. On July first, the XI Corps had left a full division in reserve on Cemetery Hill, while Lee held Anderson's late arriving division in reserve. Terrain, the disruptive effects of the town on formations and the fresh reserve gave the Union a chance to break the retreat. On July 2, while the III Corps line was broken, the anchors on either side of the attack held. Little Round Top and Cemetery Hill stood firm. When Lee committed Pickett's Charge, committing his last fresh troops, he had forces standing by to either side of the charge. A force sent in pursuit of Pickett would have both flanks threatened. Meade could not simply pursue Pickett, he would also have to deal with flanking forces in reserve. These reserves were not fresh on July 3rd. They had been badly hurt in the prior day's fighting. Still, they were sufficient in strength and position to make waving one's hat imprudent. Wellington had a large and fairly fresh reserve on hand. As the English turned the Imperial Guard, a large force of Prussians was just reaching the field. The English did not and needed not pursue the French far. They just had to get the rout started. The availability of a fresh reserve turned the victory into a decisive victory. At Gettysburg, late on July 1st, Anderson's reserves were available, but they were too late for an optimal pursuit, and Lee kept them out of the fight. On July 2nd, the Union had more fresh reserves available and closer to the scene than Longstreet. If a few things had happened differently, Longstreet might have won a cleaner victory on the 2nd, forcing Meade to give up his fishhook, but a decisive victory by Waterloo standards seems implausible. Longstreet's attackers were too exhausted for an all out 'keeping up the skeer' pursuit. On July 3rd, the Union VI Corps might have been available as a fresh reserve, standing by to follow up Pickett's repulse, but the VI Corps had been divided to patch up weak points in the line and guard flanks. Every other Union corps had suffered significantly in the prior fighting. Many of the elements shaping Wellington's decisive victory were shaped by Napoleon's need to take risks. Napoleon had to defeat the English / allied formation in time to turn and face the Prussians. He then had to defeat the Prussians so that he could be ready to face a still far distant Russian army. His defeats of the English and Prussian formations had to be decisive. They needed to be knocked out of the war. He could not allow the English, Prussian and Russian forces to unite. Thus, Napoleon "bet the farm," committed everything he had to the offensive. For strategic reasons, he had to. Keeping a reserve is a good thing. When one commits one's last reserve, a general has lost his last tool to make a major impact on the battle. Still, Napoleon was trying to defeat three armies with one army. He could only succeed one at a time. Lee never did get both flanks engaged at the same time at Gettysburg. He tried. On both July 2nd and 3rd he originally wished for concurrent attacks. Both times, the battle around Culp's Hill occurred in the morning, while Longstreet's assaults occurred late. In what ifs presented by students of the battle possessing 20 - 20 hindsight, plausible cases might be made that Longstreet's efforts might have been made to work. Still, without a coordinated effort on the opposite flank, there might have been a victory, but not a decisive victory by the standard of Waterloo. Lee might have driven Meade off a hill quite plausibly, or driven him back to Pipe's Creek, perhaps. The elements necessary for a truly decisive meeting seem to be missing. Did Lee require the decisive meeting? Could he afford the risks associated with betting the farm, with committing to an all out offense? This is not a simple question. It might be answered at several levels. Ideally, he would like to totally shatter the Army of the Potomac, then march on Washington. Still, he could not afford to lose the Army of Northern Virginia in the process of seeking decisive victory. A victory, but not a decisive one, might have been enough. A large part of the campaign was political. The objective was to remove Lincoln from office in the 1864 elections. To do that, a victory at Gettysburg sufficient to allow the ANV to disperse for a while, raid Pennsylvania for a bit longer, then retreat south might have been enough. Thus, Lee could be satisfied with a partial victory, and could not risk a decisive defeat. Lee could attack on one flank without committing his full army along the entire front. He didn't have to commit his last reserve. At no time did Lee commit a last reserve. He attacked one Corps at a time. This reduced chances of a decisive defeat, but also reduced chance of any sort of victory. The Union, with interior lines, could shift forces to counter the currently threatened area. There were other elements. Early in Napoleon's campaigns, decisive victories were more common. Early Napoleonic armies were more mercenary, more professional. Later Napoleonic armies were nationalistic and idealistic. The early professional armies were apt to surrender when defeated. Nationalistic armies believed in their cause. They were less apt to surrender. They would take extra risks to survive as an army to fight another day. The US Civil War armies believed in their respective causes. They would strive to survive to fight on. Decisive battles were rare. Technology may be another factor. The range and effectiveness of Civil War weaponry changed the flow of battle. Battles became larger, as forces deployed and formed up further away from their opponents. Column attacks with bayonet were common and often critical during Napoleon's time. These gave way to line formations and rifle fire as the dominant weapon. The differences in weapons may have contributed to the lack of decisive Civil War battles. All that said, the aggressiveness of the commanders is also critical. Were Napoleon and Wellington just more willing to commit everything to the attack than the major army Civil War commanders? Were there any Civil War generals who might have been ready to push for an all out victory? I'll drop two names, one from each side: Stonewall Jackson and Phil Sheridan. Each had glory days in the Shenandoah Valley. Neither got command of the major eastern armies. Both became known as the aggressive wing commanders of the war's most famous generals, Lee and Grant. I shan't review their records. I'll just voice the possibility that if Stonewall ever met Sheridan, there is a much stronger possibility that one army or the other might not have fought again. Jackson would divide his force to hit a flank. 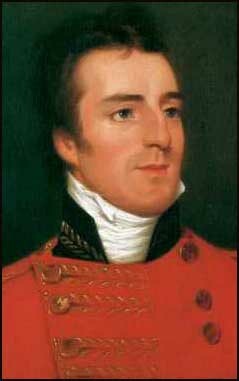 Sheridan, with the confidence of having the larger force, would regularly commit his entire army to an attack. Sheridan's reserves would be positioned not to protect a retreat, but to follow up breakthroughs. And yet, the best formula I've seen for a decisive victory comes from the South, from the Gettysburg campaign, and not from Lee or Jackson. After the war, Longstreet wrote a document describing in more detail the battle plan for "offensive in strategy, defensive in tactics." When operating in the enemy's territory, he has to fight. It is hard to refuse battle when standing in front of one's capitol. Thus, a general operating on the enemy's ground might choose good defensive ground where the opposition is forced to attack. Longstreet made an interesting offer to Lee. Given the opportunity to choose and maneuver onto good defensive ground, Lee would fight the entire Army of the Potomac with just his own I Corps. The southern II and III Corps would remain in reserve, remain fresh. After the AoP exhausted itself, the II and III Corps would be released against its flank. As much as I respect Phil Sheridan's and Stonewall Jackson's ability to push an army on the offensive, I'd give Longstreet's plan the better chance of achieving a decisive victory, especially if he could have had Stonewall commanding the reserve wing. Longstreet's plan might have duplicated the situation at Waterloo, the Union army fatiguing itself on the offensive, while the South deliberately kept a fresh reserve in place for aggressive pursuit. There is a catch. Longstreet's plan requires the opposing commander to follow the script, to make bold frontal assaults against unfavorable terrain. The George Meade of July 1863 is very low on my list of generals apt to achieve decisive victory. Still, based on his performance in the Gettysburg campaign, he was not at all likely to make the particular mistake Longstreet was counting on. Second, given that the more conservative commanders were in charge, is it any surprise that the war ended by attrition, not in decisive battle? Before the Gettysburg campaign, Lee gave Jefferson Davis two choices. He could stay on the defensive, eventually be driven back into a siege of Richmond, a siege he could not win. Alternately, he could take the offensive, win a victory on northern soil, and hopefully force Lincoln out of office in the next year's election. That is an easy choice. It may explain in part why Lee was so aggressive at Gettysburg. Lee needed a victory, though perhaps not as desperately as Napoleon at Waterloo. However, Longstreet was correct as well. Frontal assaults on high prepared positions do not lead to victory. After Gettysburg, Longstreet persuaded Lee to fight defensively. This was plan B. The Army of Northern Virginia fell back into a siege that could not be won.